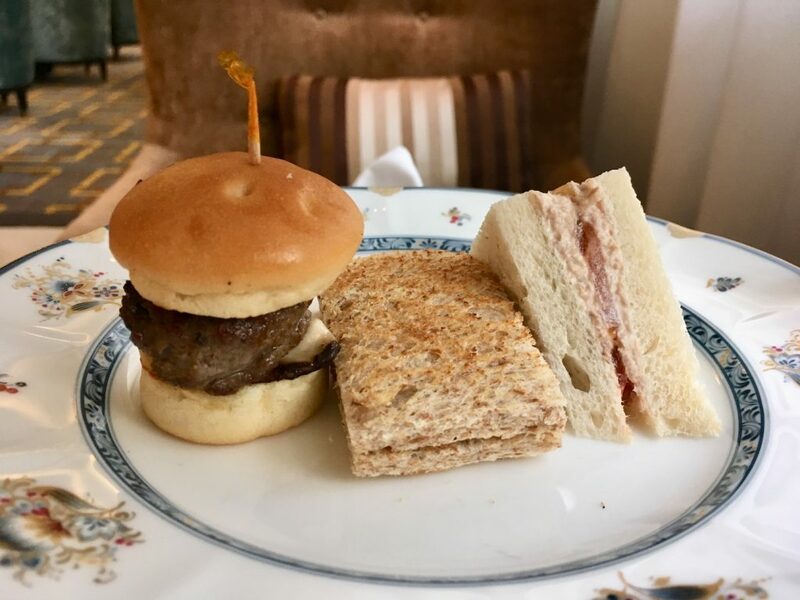 After spending some time at the Pavilion mall in Kuala Lumpur, I walked over to The Ritz-Carlton, Kuala Lumpur for afternoon tea. It was here that I learned that you can actually walk all the way from the iconic Petronas Towers area to the hotel, all through a covered walkway. With the heat, sunshine and sometimes down pouring weather, this is essential and convenient. It was also here at this hotel that I found a flower shop. I was looking for fresh flowers everywhere I went around the city and finally found what I was looking for (at a reasonable price!) at the hotel’s flower shop on the first floor, close to the main entrance. 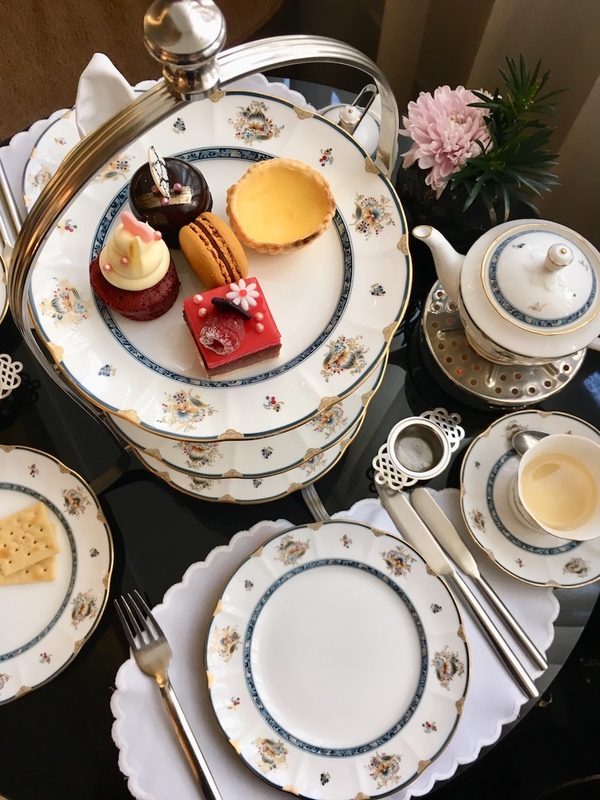 So if you’re shopping nearby, or are looking for a place to buy fresh flowers in Kuala Lumpur, make sure you also stop by The Ritz-Carlton, Kuala Lumpur for afternoon tea. 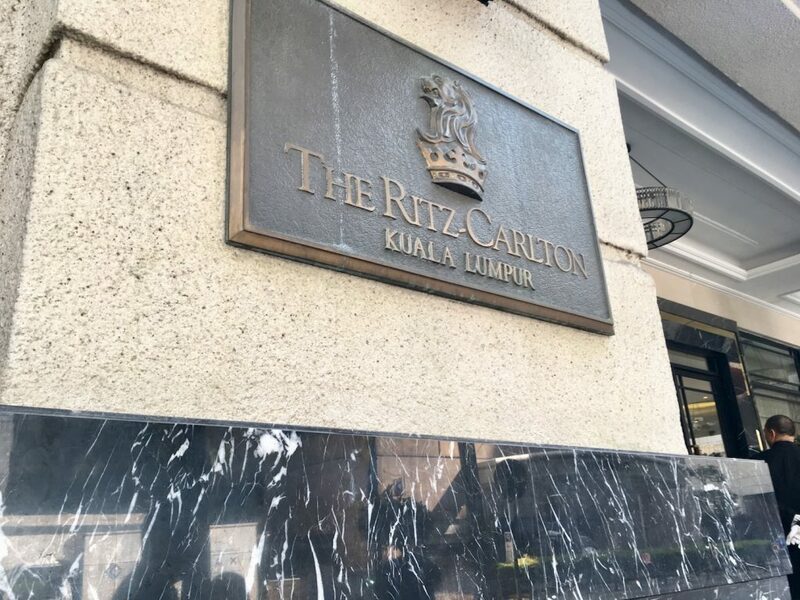 The Ritz-Carlton, Kuala Lumpur is right across the street from the Pavilion, a mall with many luxury stores. 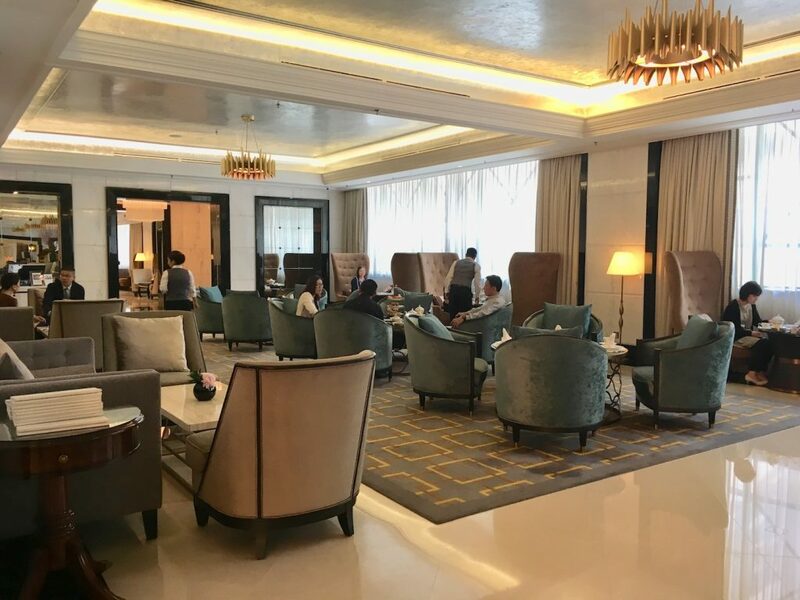 Additionally, the hotel is nearby The Royal Selangor Golf Club and walking distance to KLCC and the Petronas Towers, which is the most iconic building in Malaysia. 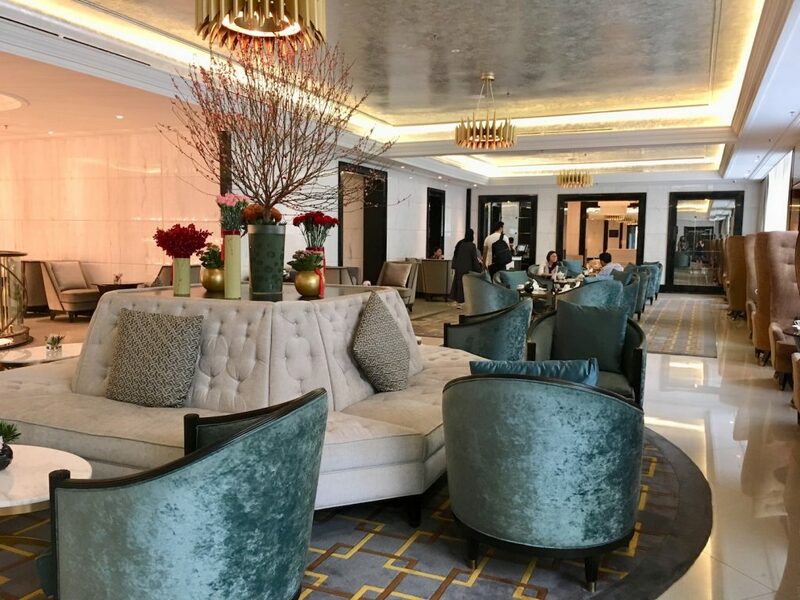 The hotel underwent a recent renovation and everywhere, leading up to the Lobby Lounge, where afternoon tea is served is polished to perfection. A seat at one of the two person tables by the windows will have plenty of natural light coming in. 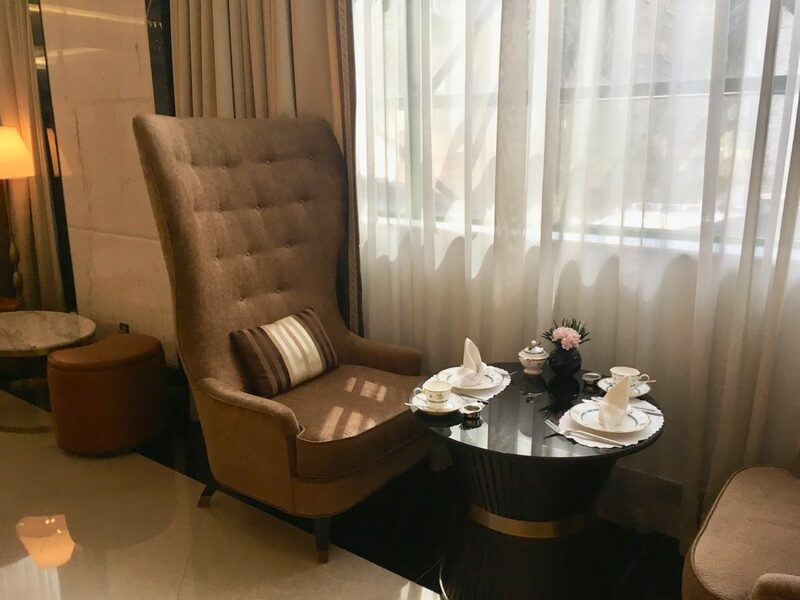 Everything feels new and furniture and decor is what you’d expect to find in a classic luxury hotel. 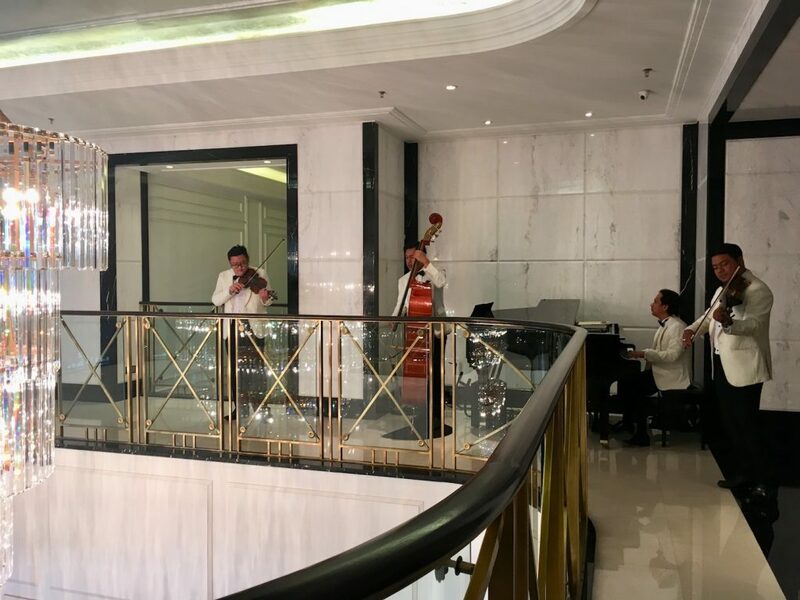 While there isn’t really a view, there is a live quartet that plays in the corner near the entrance of the Lobby Lounge during tea time hours. 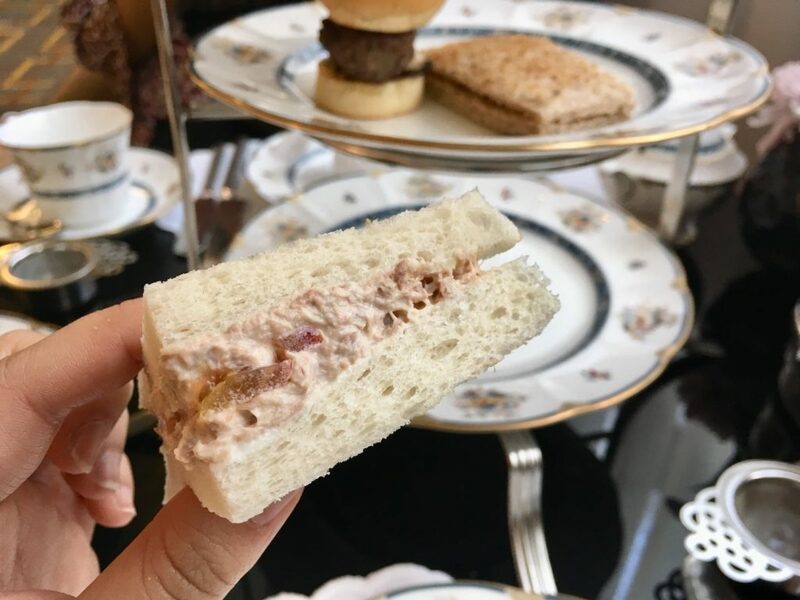 You’ll have the usual selection of teas at this afternoon tea, but one that you must try is The Ritz-Carlton Kuala Lumpur Blend, which you can only have at this specific hotel. 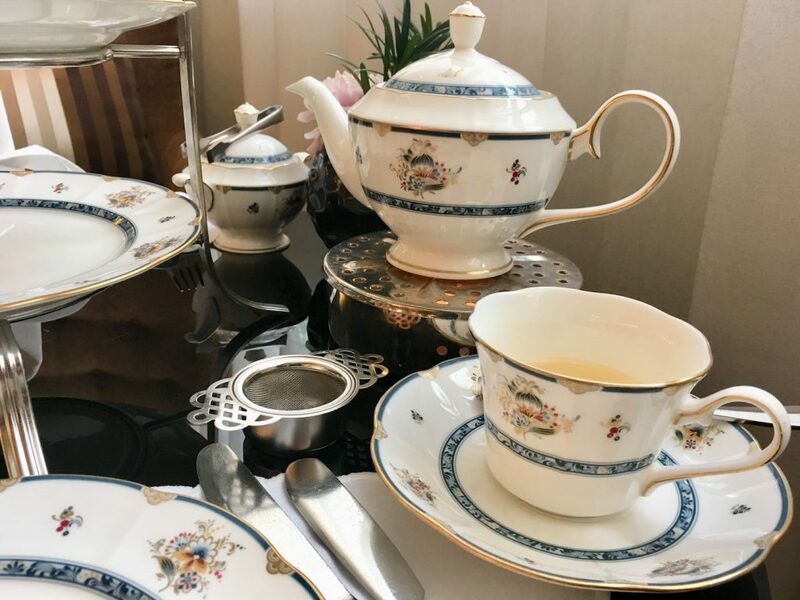 The tea was blended exclusively for the hotel and features an “exceptional green oolong tie guan yin, a tea served to royalty since the Tang dynasty“. The leaves were steamed in boiling milk, which produces a blend capturing the “essence of eastern and western tea drinking traditions in a single cup“. As someone who usually sticks with earl grey if there isn’t an exclusive tea, this is one I really enjoyed! 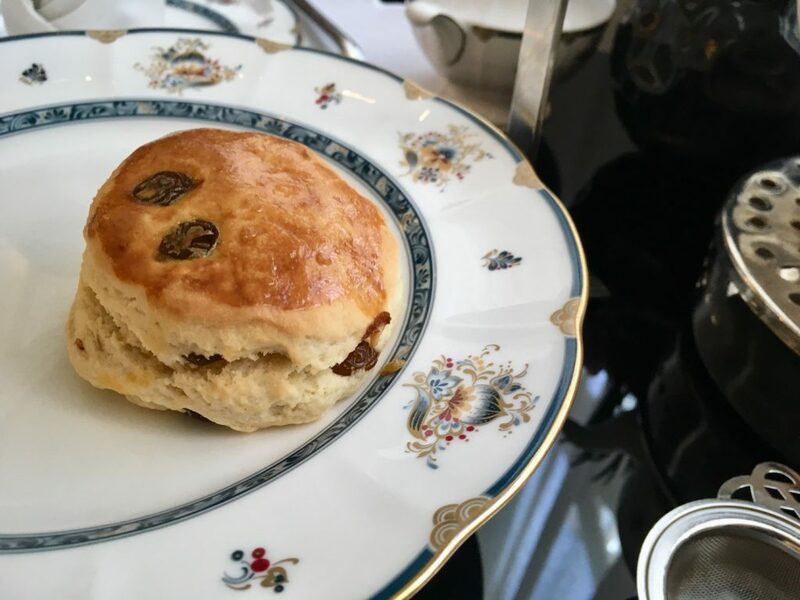 There’s one afternoon tea package offered at The Ritz-Carlton, Kuala Lumpur. 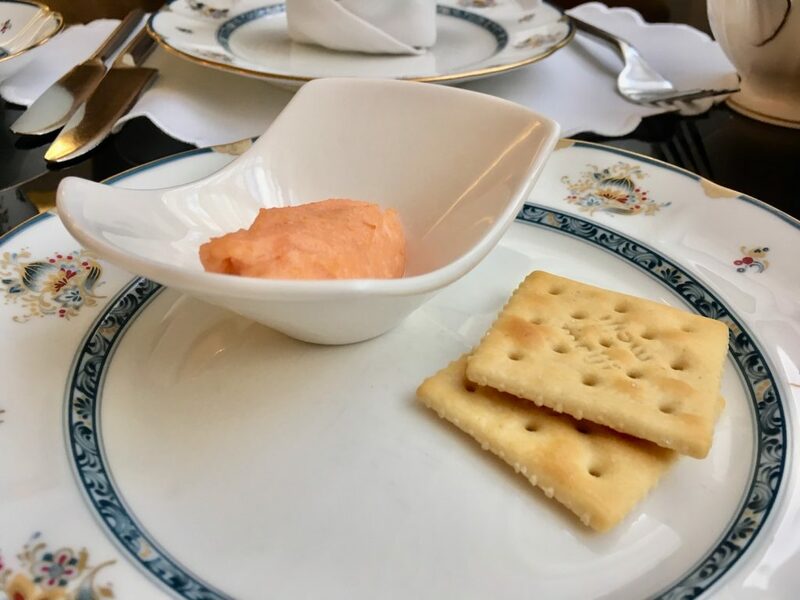 A few moments after ordering the afternoon tea package, the first starter course arrived, which consists of a smoked salmon spread and crackers. Two of the three tiers were filled with savories! 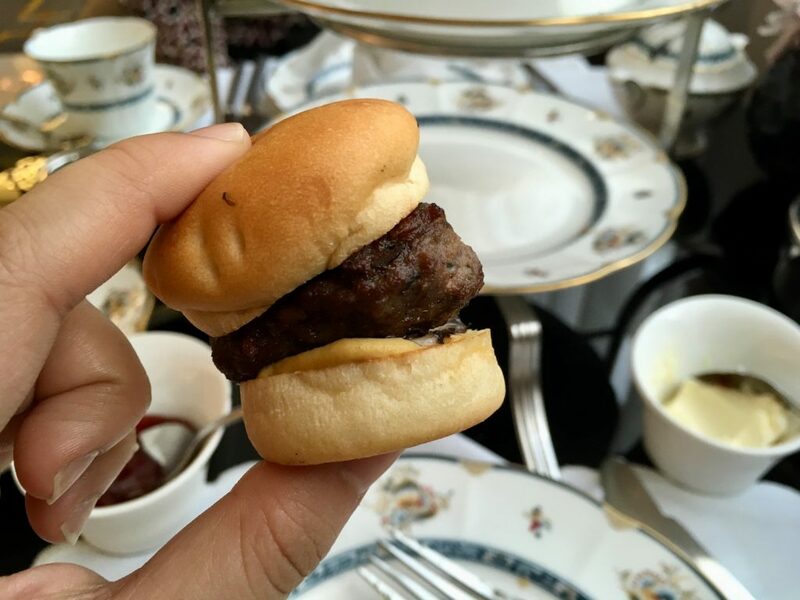 Included were traditional tea sandwiches, a mini burger and a quiche and minced pie. These savories were filling and could just be a late lunch replacement. 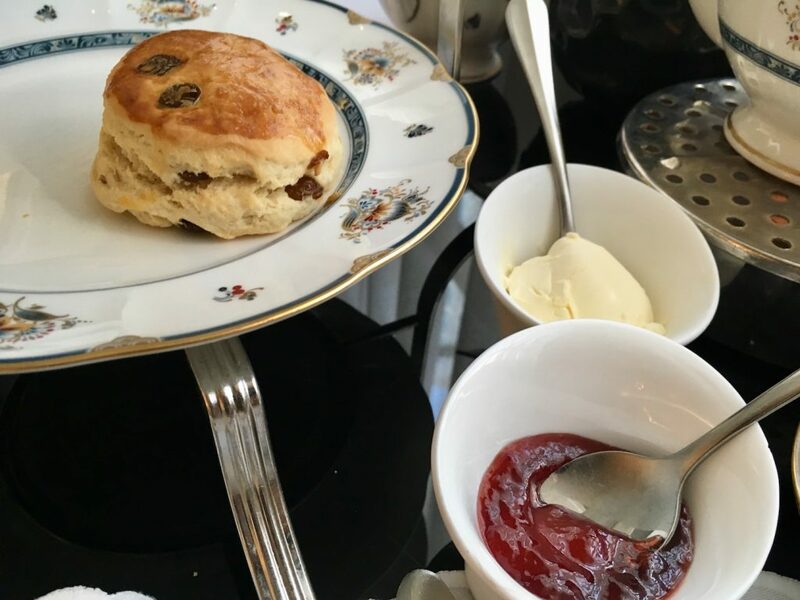 One fruit scone arrived sometime after the three tiered tray was served. It was served warm with cream and jam. 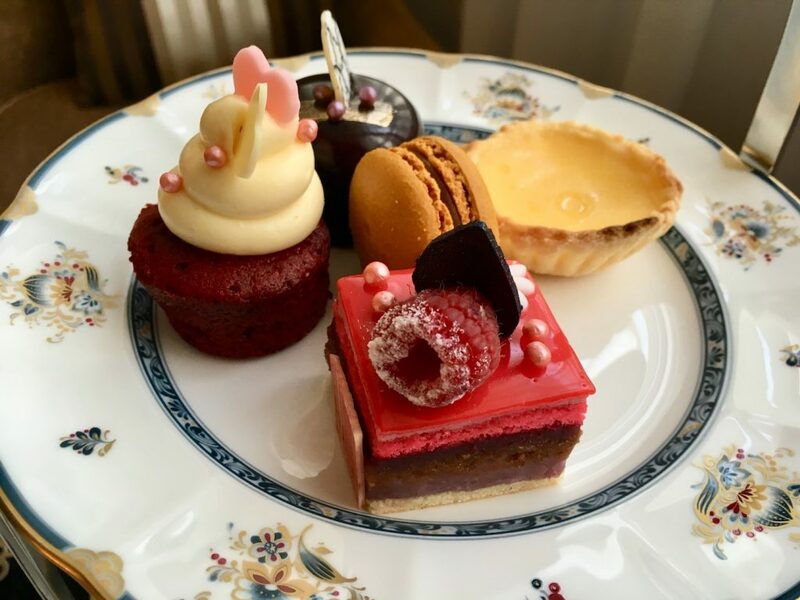 I went to this afternoon tea a few days before Valentine’s Day so some of the sweets seemed to have taken a little red and pink theme! 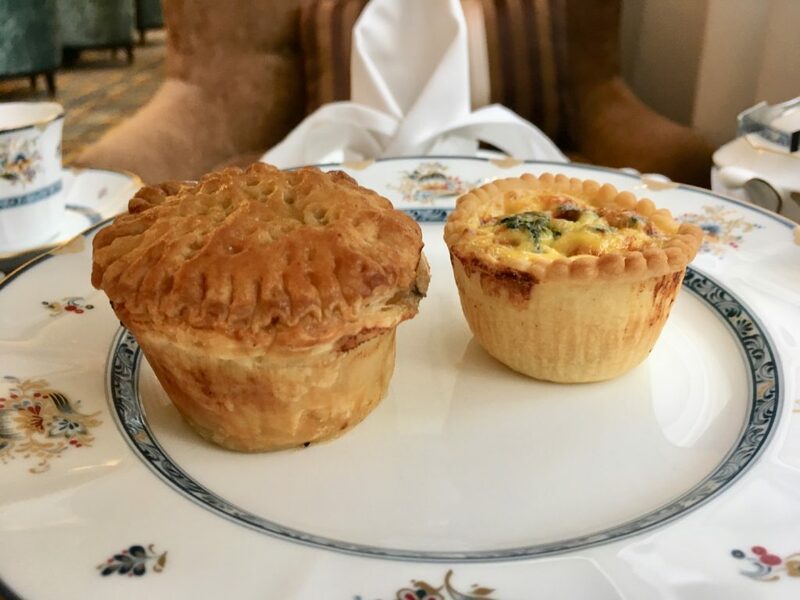 Included were some classic desserts you’d find at an afternoon tea – macaron, red velvet and chocolate tea cakes and also an egg tart! 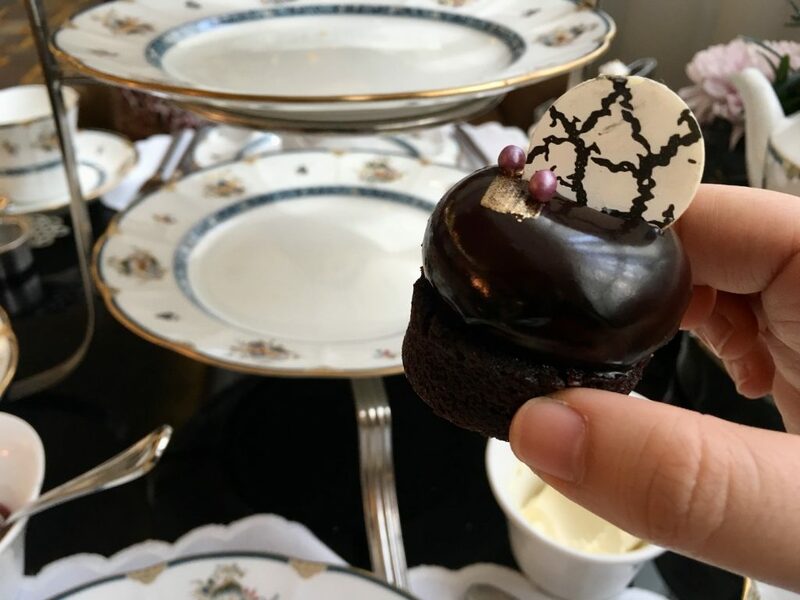 The blue and gold plates, pot and tea cup were super cute and looked great on a marble black tabletop with a small white place mat. Service was excellent. Everything was brought in a timely manner and I noticed staff were attentive and always ready to help. There is WiFi in the hotel, however I did not take the time to try to connect or use it. 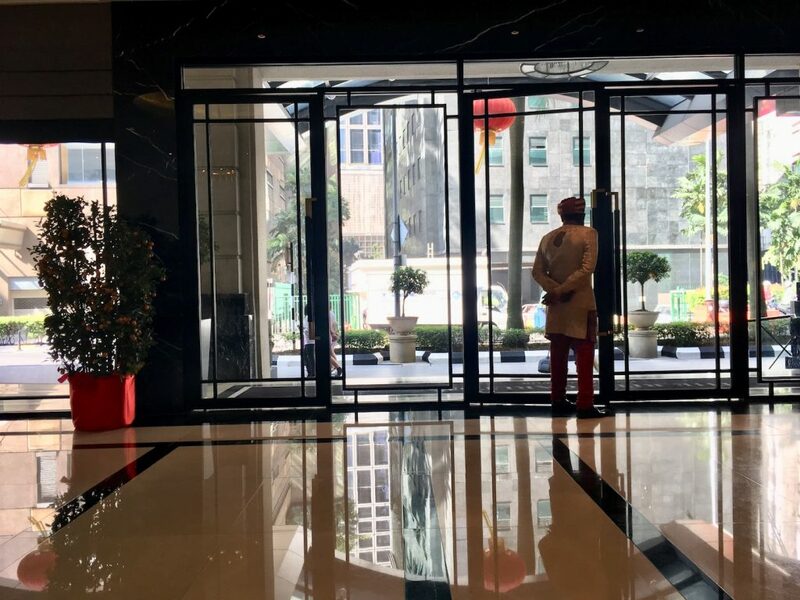 However, even if it may appear that you have to be a guest of the hotel, most of the time you can ask one of the waiters for a password to use the WiFi. 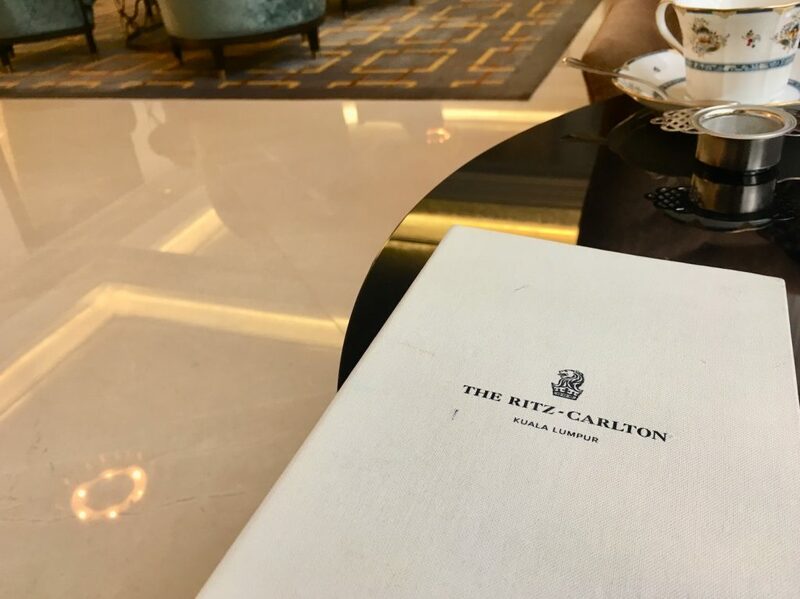 The Ritz-Carlton (global account only) is active on Instagram, Twitter and Facebook sharing news, updates and guests’ content from their properties all over the world. 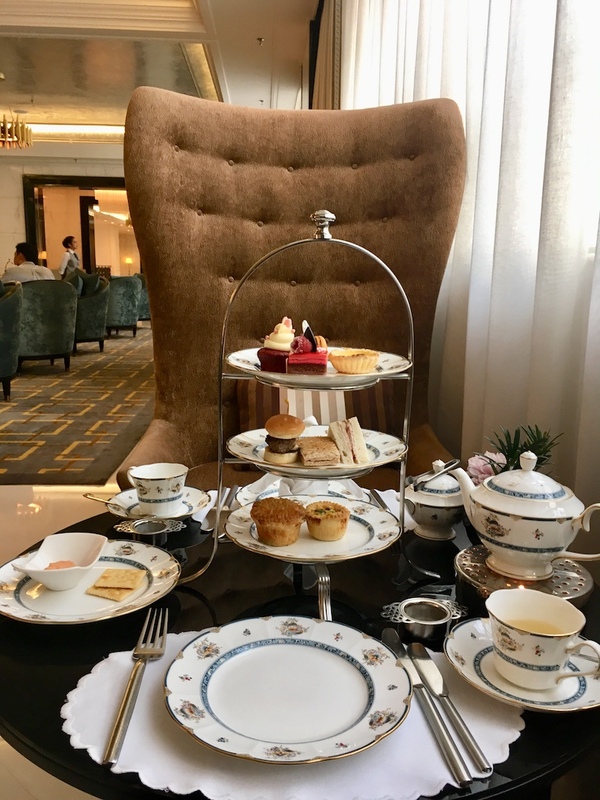 Since The Ritz-Carlton, Kuala Lumpur is so close to major shopping malls, it might be a good idea to stop by for afternoon tea for a break between walking and shopping. Also, stop by to try a tea that’s exclusively blended for the hotel. 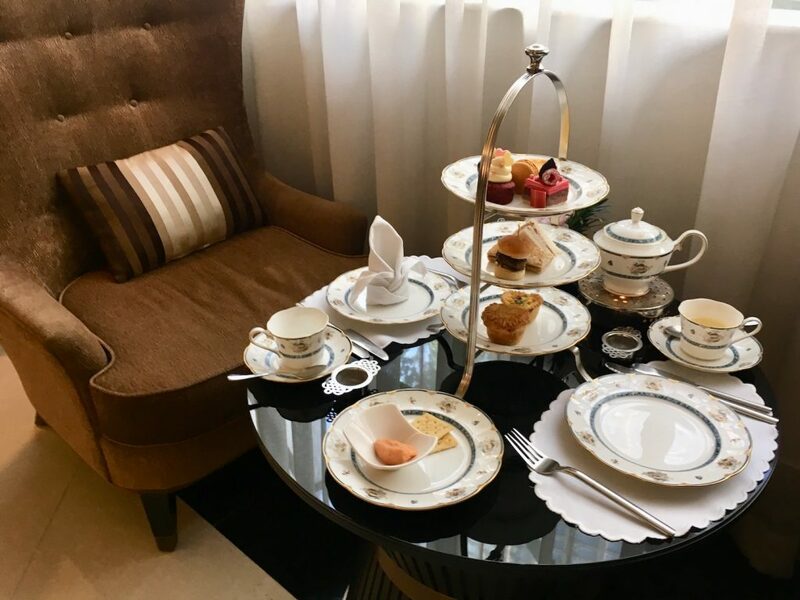 Note: A big thank you to The Ritz-Carlton, Kuala Lumpur for providing the afternoon tea for this review. As always, all views and opinions are my own.